Two Selkie Stories from Scotland is officially released this week–on May 1–and to celebrate, enjoy this fabulous post by Kate Forsyth and Fiona McDonald on the story behind the stories, just published on Kids’ Book Review. There’s a giveaway attached to it too, get your entry in now! Click on the link above to read a comprehensive magazine interview with us. 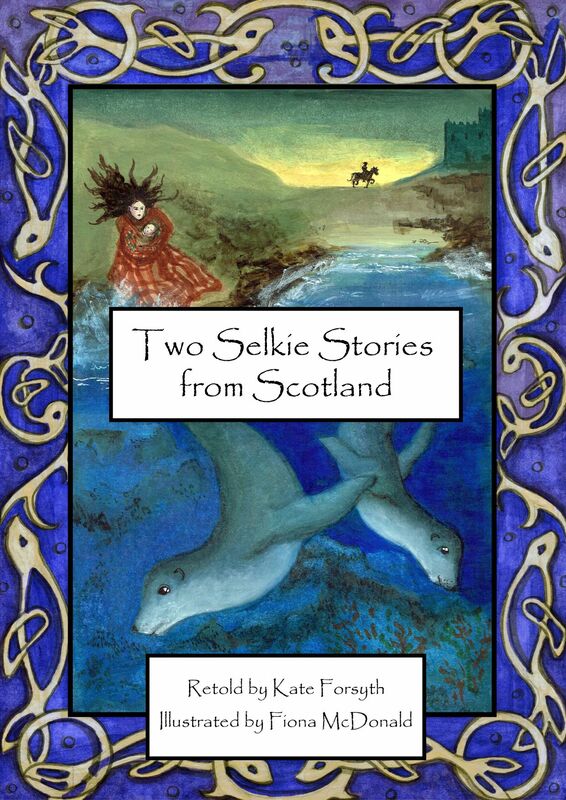 Two fabulous launches for Two Selkie Stories from Scotland! We’re very excited here at Christmas Press, as the release date for our second title, Kate Forsyth’s and Fiona McDonald’s Two Selkie Stories from Scotland, approaches. As is fitting, we have two fabulous launches planned for the book: the first in New England on May 10, the second in Sydney on May 21. Kate and Fiona will be at both launches, to sign books, talk about their beautiful book, and meet you, the readers! All details for both follow below. Everyone very welcome! Well-known fantasy author Ian Irvine will be launching the book. Books will be available for purchase, and Kate and Fiona will both be in attendance to sign books. Light refreshments provided. Free event.